Charlotte and Peter got in touch this March looking for a photographer for their Mill Barns wedding. With an email chain which centred around where we liked to eat in Manchester I knew this would be a great day. With smaller coverage of the day at just 9.5 hours it was jam packed with action and was a joy to be part of. Formerly the site of a 17th century water mill, Mill Barns is now an exclusive no corkage wedding venue. With links to the rustic Ashes Barns near to where I live and the soon to be photographed fabulous Pendrell Hall this was sure to be another great wedding venue. It’s always a different experience when you don’t meet a couple face to face before the date. Me and Charlotte Skyped originally then chatted on the phone for our last meeting. I always talk about the importace of having a great foundation of a relationship with your photographer. They’re going to be with you for the majority of the day and you’ve got to feel comfortable in their presence. Charlotte and Peter were such a lovely couple and it didn’t take time to slide into their day just like one of the guests. I was made to feel so welcome by Peter’s entourage of brothers which I still can’t remember how many there were. I talk a lot about events within your day where I will take photographs and how if there is not any events then I’ll cease to take photographs until something happens again. I feel it’s more important to chat to guests an gain more report than to continue to get the same candid photographs. Charlotte and Peter’s dat was PACKED with events. I arrived at the venue early to scope it out whilst munching on a beautiful iced bun brought by my other half, then I blinked, and I was flying round a circle of people at 7pm which contained the most awesome dance off I’ve ever seen. You know what they say… Time flies when you’re having fun. 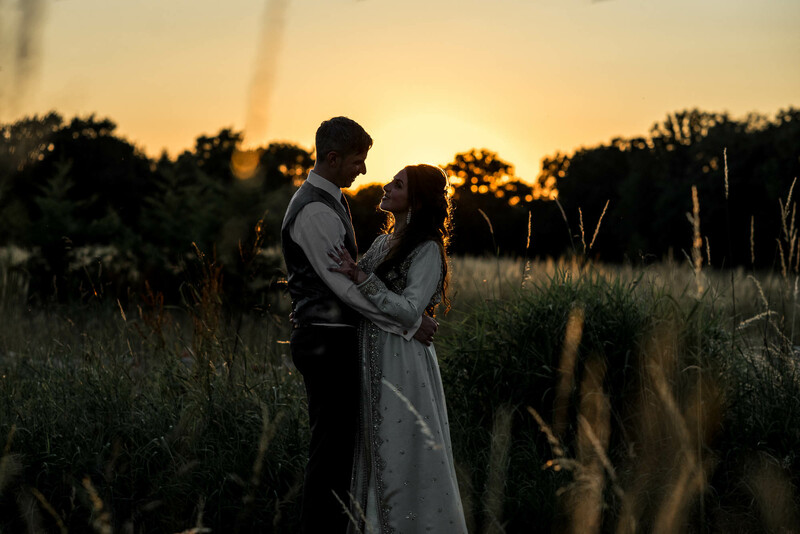 Looking for a Mill Barns Wedding Photographer? I’m a relaxed and informal Stoke-on-Trent wedding photographer who often ventures further afield including Staffordshire, Derbyshire, Cheshire, Shropshire and the rest of the UK. I don’t charge for my travel or accommodation as I love the look of different landscapes in my photographs. If you are interested in having me photograph your wedding whether it’s in Mill Barns or elsewhere then CLICK HERE to drop me an email about your day. If you’d like to hear a little bit more about me, my life and my sausage dog you can click here to find my about page.